It doesn’t just have to be the reception areas which have interesting light. Lighting office space can be fun too. Granted, there does need to be a certain amount of ambient light for people to move around, but they don’t have to be ‘flood lit’ either. Although we can do that if you want. Good lighting gives good productivity and is good for moral. 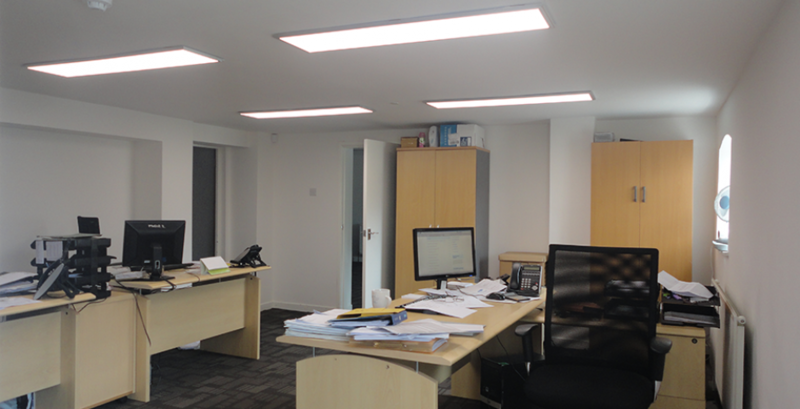 Whether it is a refit, or a new office project, you would be wise to take in to consideration the people side of lighting. 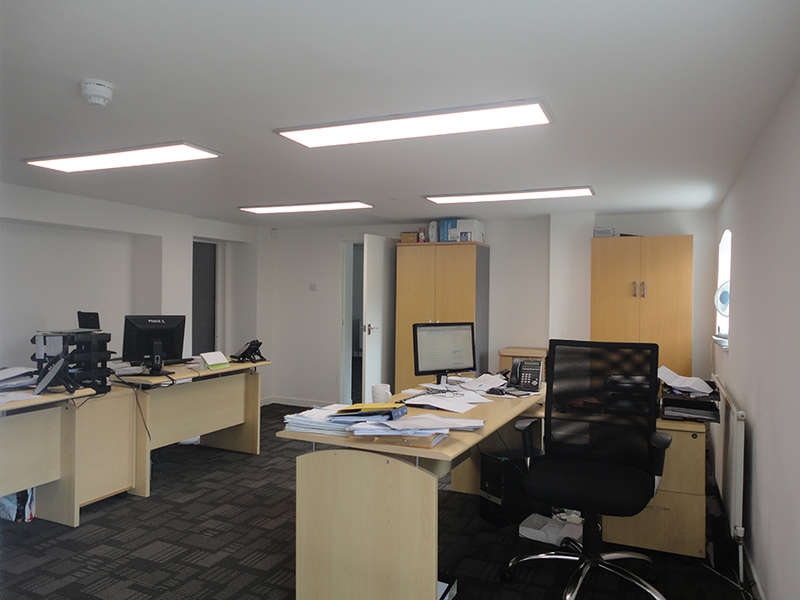 We are up to date with the latest lighting guidelines for offices and can help you light them effectively and efficiently. We have even worked on a project where the budget was fixed before we were contacted, and the brief was to get the best lighting we could for the money. Which we nailed, by the way achieving 480 lux on most desks. If you would like to know more about the lighting guidelines, discuss your office, or simply ask a question about lighting, then please contact us.